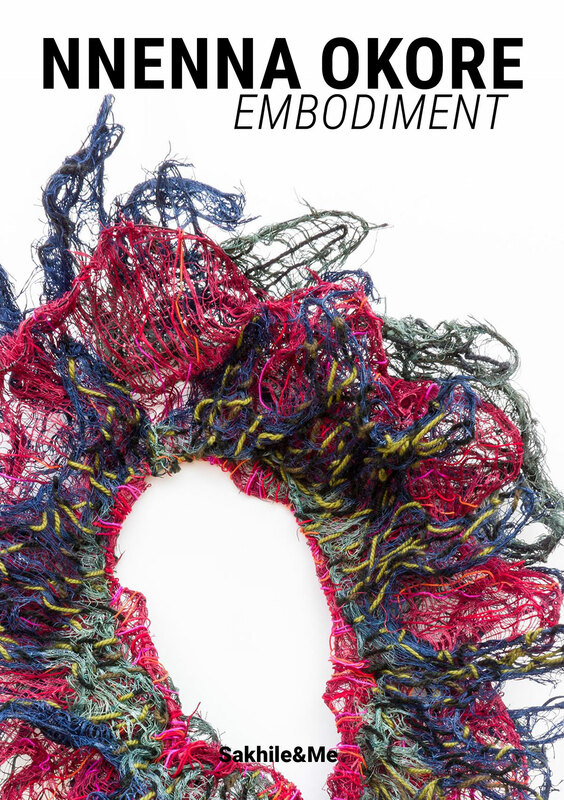 "Embodiment" is Nnenna Okore's first exhibition in Germany and shows abstract art works made from textiles, wire, dye and acrylic. They form richly textured fiber sculptures sprouting from the walls like organisms growing out to meet the space. Also featured are new and never-before-seen acrylic, gesso and clay paintings reminiscent of fossil-like structures and topographic landscapes. Embodiment is a solo exhibition of 16 mixed media works and a video installation piece by artist and scholar Nnenna Okore. The exhibition shows abstract fiber sculptures made from burlap, cheesecloth, manila, rope, yarn, paper, wire, and dye and new never-before-seen textured paintings made from gesso, acrylic, and air-dried clay on foam board. The richly textured fiber sculptures sprout from the walls like organisms growing out to meet the space. The acrylic and clay paintings are reminiscent of fossil-like structures and topographic landscapes, inviting the viewer to contemplate the passing of time and prompting an excavation of life forms drawn from the viewer's perspective, memory and imagination. The imagery in the video installation conjures up sentiments and the gentle labour of caregiving. In the two-part split screen video stream, the artist is seen interacting with plants in a layered otherworldly scene; in two simultaneous video streams she stands surrounded by plant life with a forest background and a black framing backdrop. Nnenna Okore is well known for her fiber works whose intricate textures and vibrant colours reference organic elements such as plants, roots, or veins and explore themes of transience and transformation. Similarly, references to nature are presented through a series of organic and cellular arrangements in her new paintings. "Theatrical randomness, repetition and connections are at the core of these new pieces," Okore says. "Captured in the familiar yet rugged terrain of their surfaces are references to the uneven rhythms of life. Intricate textures borne out in vivid patterns and colors embody the complexities or our transient existence laced with irregularities, uncertainty, sterility or opulence of time." This catalogue is published in conjunction with the show "Nnenna Okore: Embodiment" at Sakhile&Me. It contains images of all the works in the exhibition and texts by Osi Audu, Sakhile Matlhare, and Sandra Mbanefo Obiago as well as an interview with the artist. Below you find a list of press clippings about Nnenna Okore's solo show "Embodiment".